In the early 90’s. 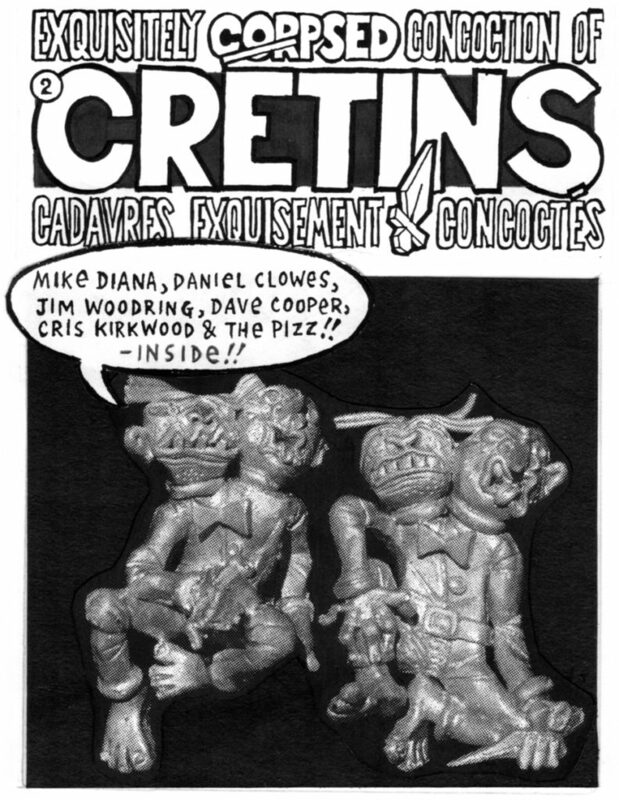 Montreal artists Rick Trembles & Eric Braun invited dozens of local & international cartoonists to contribute a drawing of a creature for an Exquisite Corpse-style comic book. Each artist’s creature had three sections that could be combined with those of other artists, allowing for many possible combinations. The original artwork has now been turned into magnets, so you can mix & match these creatures on your own fridge door! There are two different series of Distroboto magnets, each featuring different artists. And there are two full critters per $2 pack, each one split in three, but you never know which of these crazy “Cretins” you’re gonna get with your purchase so collect them all! 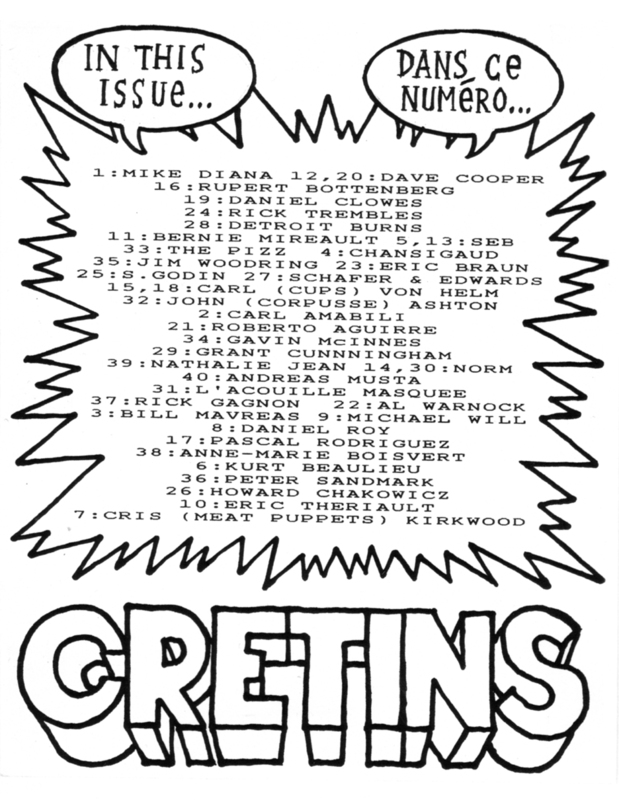 © 1993/1995 The Artists. Official launch at the Distroboto “Sweet 16” benefit party this Sunday, March 26 at Casa del Popolo (4873 St-Laurent, Montreal)! Featuring OSB (1-speed bike), GMACKRR, fourthousandblackbirds & Alexandre St-Onge! $8 suggested donation! A CKUT co-presentation. 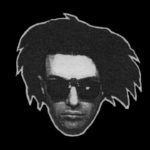 NOTE: ALL PROCEEDS FROM EXQUISITELY CORPSED CONCOCTION OF CRETINS FRIDGE MAGNETS WILL GO TOWARDS KEEPING DISTROBOTO ALIVE! 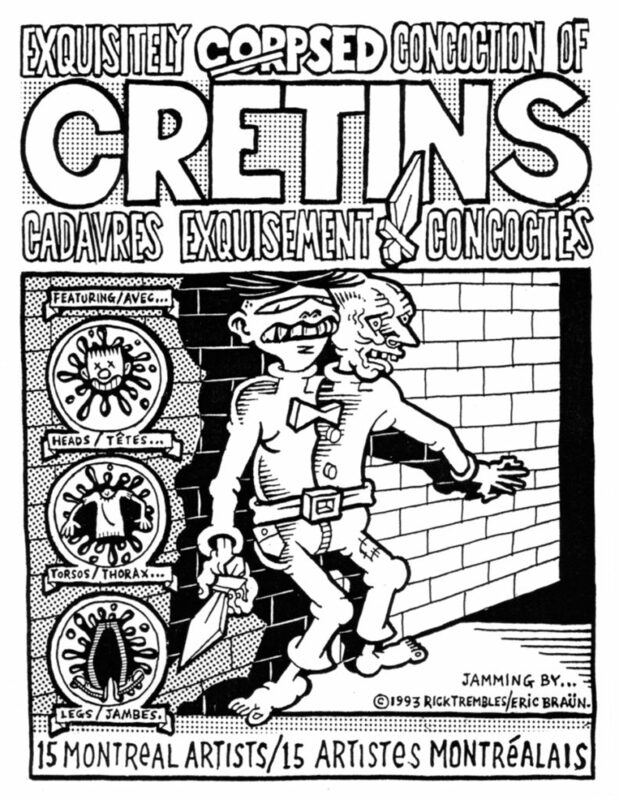 Pictured below: The original comics that accompanied the print version of “Exquisitely Corpsed Concoction of Cretins” number 1 (1993) & number 2 (1995). The contents within these pages, made up of a multitude of odd creatures by varying artists, each had to be hand-sliced in three! Now you can experience the same sensation via fridge magnets! 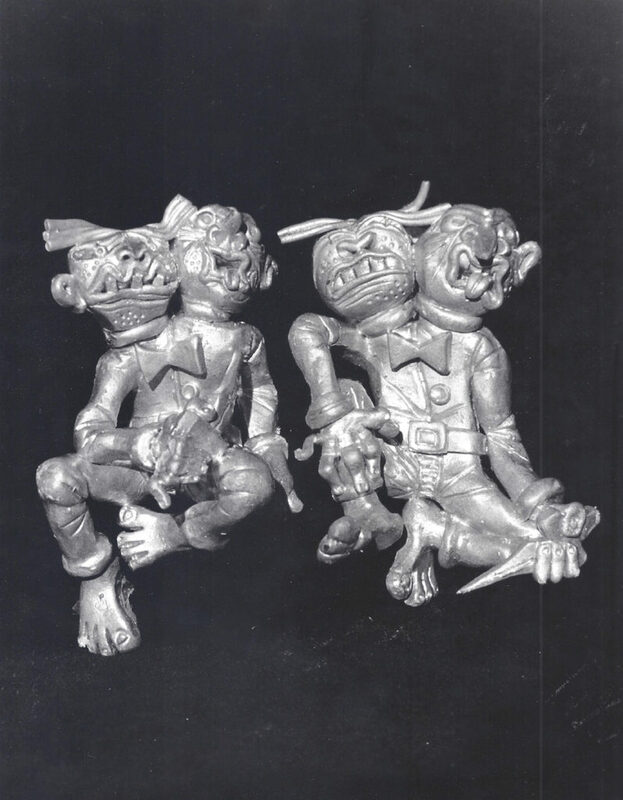 Pictured below: Sculptures by Rick Trembles from the original photo shoot for the front cover of the print version of “Exquisitely Corpsed Concoction of Cretins” number 2 (1995). 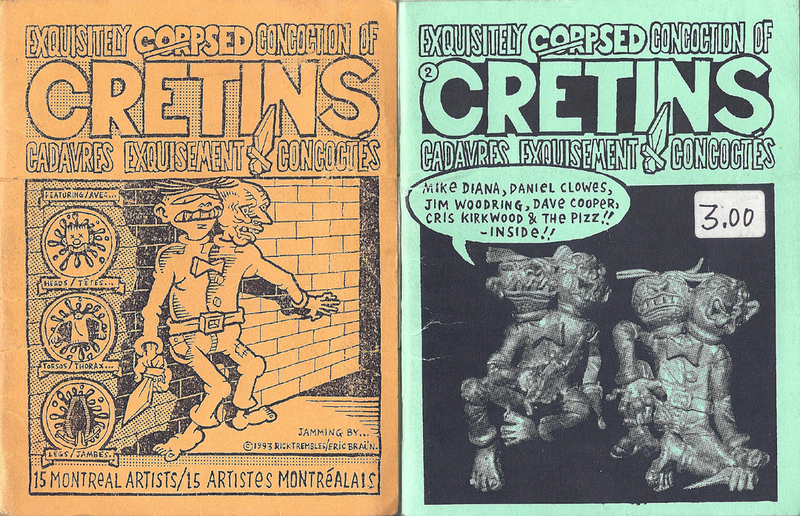 Pictured below: The only two existing print versions of “Exquisitely Corpsed Concoction of Cretins” left from Rick Trembles’ personal collection. 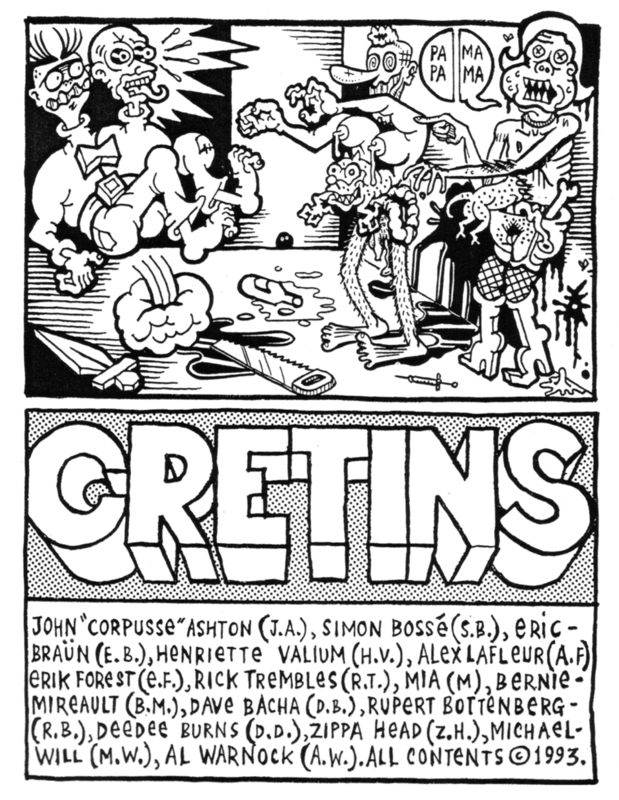 Pictured below: Sample animated GIF of “Exquisitely Corpsed Concoction of Cretins” by Rupert Bottenberg & Daniel Clowes from the rare out-of-print version which you can now obtain as Distroboto fridge magnets currently on sale now!